This month I ran 66.18 miles compared to 90.01 last month. Short month and I missed quite a few workouts. ;-( I ran one half marathon in February: Rock ‘n’ Roll St. Petersburg Half Marathon. I took it easy after the race because I think I was tired from too much running. Is there such a thing? In March I have two races: Little Rock Half Marathon and Rock ‘n’ Roll USA Nation’s Capital Marathon and Half Marathon. I am so excited about both of them. Then in April I have two more races and a trip to Riviera Maya for Spring Break!! Fun!These socks are awesome. I love how they fit and how they make my legs feel during and after a long run. And the colors? Fantastic!! A few months ago I purchased the “Christmas socks”. 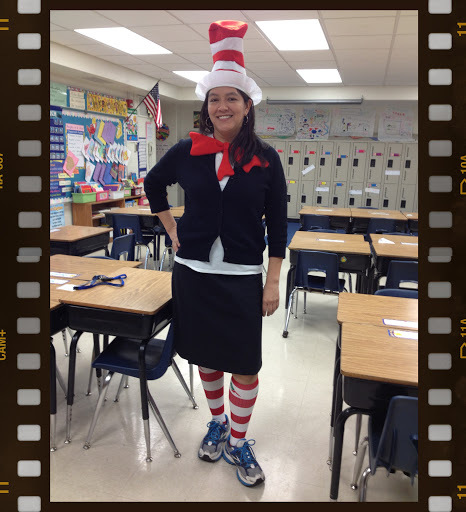 I finally got a chance to wear them today to celebrate Dr. Seuss’ birthday. 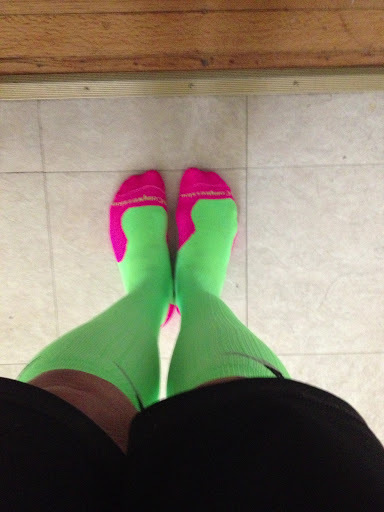 My socks were a hit with everyone in school! During my long run on Tuesday, my shorts ripped in the left inner thigh area. I felt discomfort (chafing) but did not realize the extent till I got home and showered. Ouch and painful! Well, that area still has not healed and it hurts every time I walk. I better put a bandage or something or I will be in big trouble for Sunday’s race. 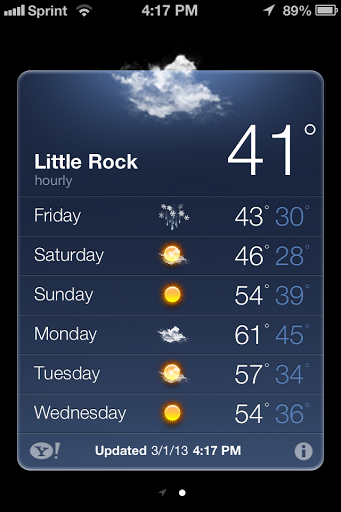 Today I am leaving for Little Rock, Arkansas to run in state #14. The weather is supposed to be nice for a race. I have to leave now for the airport. Just Keep Running!